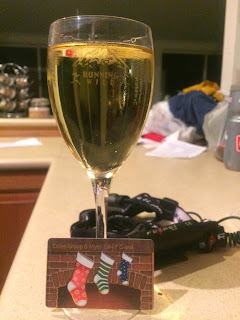 After having a week to lick my wounds and go over what went wrong in the GNW, I was keen to get back into some shorter racing, and it just so happened that two of my favourites were hosting races last weekend. How could I resist? These were both going to get me back into some shorter races and hopefully kick start my focus on speed over endurance in the lead up to my last big race of the year - the 6 Inch Trail Marathon in Western Australia. On Saturday night I ran the local Running Wild Narrowneck Night Run. The conditions were the complete opposite from the GNW! Wet, foggy and a little chilly and I couldn't believe the difference a week made! It was totally deja vu from the last time I ran this race in 2011 when the runners were met with very similar conditions. Just like then, this meant the spectacular views that running along Narrowneck offers were unfortunately not available. In fact, once the sun went down the only view available was the one about 3 metres ahead of us! The race start was very quick with Ewan, Wayne Bulloch, Matty Abel, Andrew Tuckey and I all taking off on the downhill start pretty quick. I think we all knew what would happen once the sun went down and were keen to get back ASAP to avoid as much as the night conditions as possible. After a km or so I couldn't match it any longer with Matty and Tucks and settled into a third spot and in a battle to hold it! At the turnaround Matty was leading but I knew he was going to have a tough time holding off Tucks who was just lurking and stalking him as is his style. No one runs you down better in a race than Tucks. more encouragement to have a glass! Meanwhile I was in my own battle, with fatigue really kicking in, my legs were pretty unresponsive but I battled on. At the turn Ewan and Wayne were working together nicely and knew that it wasn't long before I would hear the pitter patter of Ewan's swift cadence and the huffing and puffing from Wayne that I know so well; I have trained so much with both these two gentlemen over the years. Although I had my Ferei on, I decided that I would learn my lesson from 2 years ago and try and go as far as I could without the headlamp. It was only going to light up the fog as I learnt from that race. As the daylight faded, my eyes adjusted really well and I ended up going the rest of the way just relying on the dim moonlight which was more than adequate. It also helped that the firetrail had been recently graded too - there weren't too many trip hazards out there. I managed to hold on to 3rd and recorded my quickest time for this race by a couple of minutes, so very happy with that. Congratulations to Tucks who took the win and a classy course record, and also to my Inov-8 Australia team mate Matty Abel who ran a stormer for second. This kid has loads of talent and will be a big force in future races. Me and my Mo at STS! 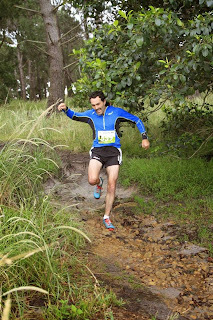 The next day I went along to the last of the Mountain Sports Spring Trail Running Series at Centennial Park. I love these events, short and sharp and always loads of fun. It was great to see so many there in what where pretty miserable conditions. 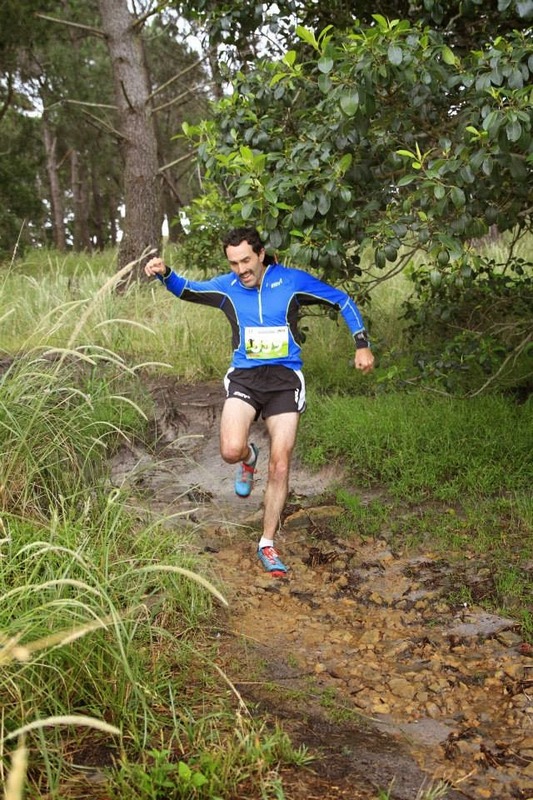 The 13km course was fast and reasonably flat but served up it's fair share of tricky terrain. I was definitely feeling the pinch from the night before and very happy to jag an extended podium spot of 5th place. After the race I tacked on another 6km demarking the course; and by the end of this I was pretty well worn out! So what's install for the rest of the year? Well it's back to the track and short hills for me as I want to get some speed back into my legs before 6 Inch. I am really looking forward to this one; a new race for me put on by a great guy Dave Kennedy. But before that, Hanny Allston and I are hosting the 2nd Lake Crackenback Trail Running Camp which is going to be a real hoot! It ties in with the resort's annual Movember Sportsman's Dinner which I will be speaking at...eek!! The weekend will be wonderful I'm sure, it's just such a beautiful place to go and run and be around other great people! By the way, my Movember page is here!